A busy executive keeps up with water industry news by direct delivery of stories by email; his publisher rejoices. 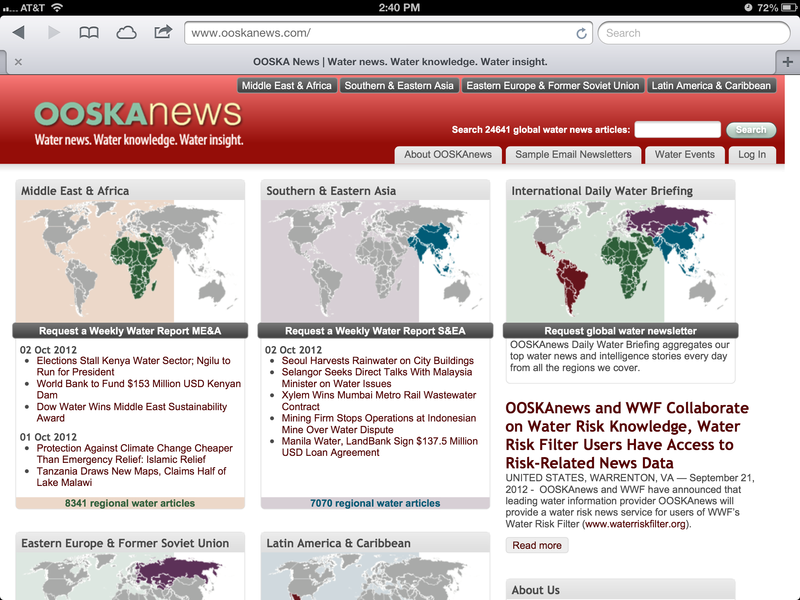 A year or so ago, we helped OOSKAnews move their multi-year archive of water news online, where it remains searchable and available to newsletter subscribers. At that time, not ready to upend their publishing processes, OOSKAnews stuck with their PDF-based newsletter production using Adobe Indesign. One year later, OOSKAnews brought us back to streamline their publishing process. el-studio designed and built the newsletters in native HTML, readable by all popular email clients. Both subscription management and newsletter production is handled by their existing Drupal website. Reliable email delivery is provided by Amazon cloud services. Editors now build newsletters and story archive in the same publishing process, which has proved to be a big time saver — enabling OOSKAnews to switch to a daily publishing schedule. 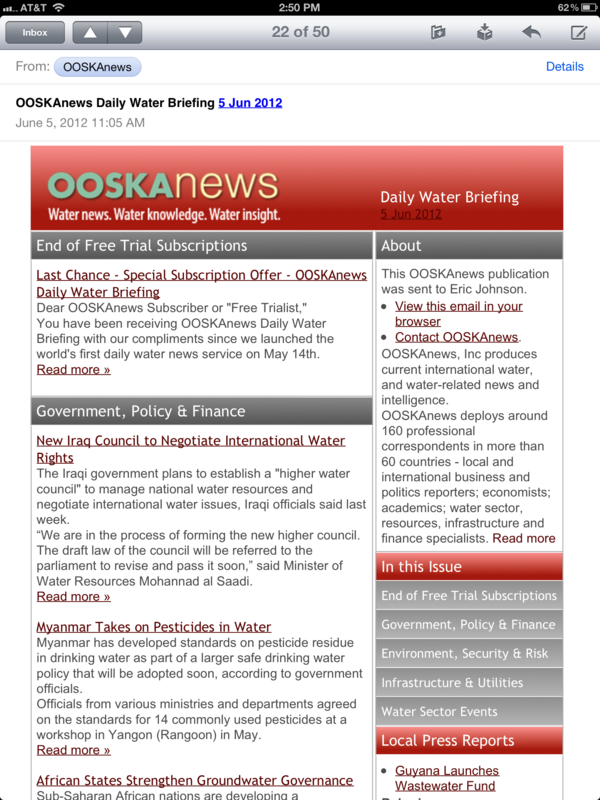 We also refreshed the design of OOSKAnews.com, bringing many of the design elements from the newsletter back to the website. The results have made the world’s best source of dedicated water-industry news even better!